Back-up alarms>: a safety feature that indicates a vehicle is backing up. Vehicle batteries: top of the line brands that power vehicle electrical systems, used in most climates. Generators: portable power sources from brands like Kipor, Generac, and Powerhouse for camping or work sites, available in a wide range of models and amp outputs. 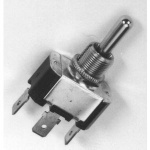 Electrical components: includes switches, fuses and circuit breakers, trailer connectors to specific grades of wire terminals and switches. Vehicle camera systems: rear-mounted camera and monitor that provides visibility for vehicle backups, security or spot checking an area during machine operation or motion. Note the cold cranking amps (CCA) and dimension/post location numbers on your current battery for reference. Newer technologies are worth a try--some, like Optima's spiral wound AGM batteries, are completely covered (corrosion resistant), prevent overcharging (due to safety relief valves) and are 15 times more vibration resistant and last twice as long as traditional flooded lead-acid batteries. We carry 6 and 12 v Optima red, yellow and blue deep cycle and starting AGM batteries in addition to traditional types.